For decades, Lions Bay has been a popular spot for adventurers and tourists alike. Since the turn of the century, the area has been a regularly populated and a prime spot for real estate. When you consider the consistent and visiting populations, there are a whole lot of reasons to keep your property looking good. Whether you are taking pride in your home or creating an inviting work environment, our Lions Bay pressure washing can help you put your best foot forward. Where & When Can You Pressure Wash? Your day shift might end at 5 but the exterior of your property is always on call. Your roof, walls, decks and concrete are always working, so why not make their job a little easier. Ground on dirt, dust, and discolouration happen, there is no way to prevent it but you can manage it! Routine pressure washing stops cumulative build-up from forming but hindsight is 20/20 and chances are that you need our services now! Our Gorilla technicians have been in the industry a long while and we have seen it all! Whether you are working with a residential or commercial space, our Lions Bay pressure washing can give it the well-rounded clean that it needs. It is not enough to simply spray down exterior materials, a proper Lions Bay pressure washing comes in steps. Whether it is a wall, patio or even a driveway, each job begins with an application of our eco-friendly cleansing agent. This compound lifts surface layers of dirt and grime. After the cleaning solution does its work, Gorilla brushes are used to push it off and away. Finally, the pressure washing can begin! By implementing this multi-step system, our Gorillas ensure the best possible results, every time. When your property needs a little TLC, our Lions Bay pressure washing is the answer. 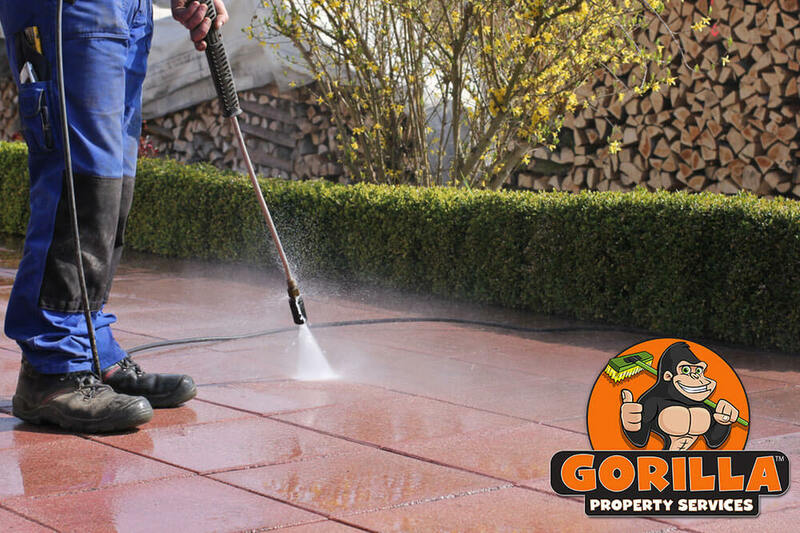 Gorilla technicians leave your property looking like new every time.